When it comes to ultra-luxury automobiles, nobody does it better than Rolls-Royce. The British ultra-luxury car maker is well-known throughout the world, even if it has only ever launched three iconic cars. So far, Rolls-Royce have only ever produced the four-door sedan Phantom; the two-door coupé known as the Wraith; and the first-ever four-dour convertible Dawn. Now there will be a fourth addition to the line-up — the Rolls-Royce Cullinan. This is Rolls-Royce’s first ever off-road vehicle, which is also named after the world’s largest rough diamond ever discovered. This perfectly encapsulates what the Rolls-Royce Cullinan is about — a rough rider while still maintaining its ultra-luxury status. What’s great about the Cullinan is Rolls-Royce’s ability to be recognised at any time. This is due to its iconic stainless steel front grille, a staple in every Rolls-Royce vehicle. Also making an appearance would be its laser LED headlights and tail lamps with a strip of jewellery in the housing. The Cullinan is also made for the great outdoors with a 6.75-litre twin-turbo V12 engine resting at its core. This is the same engine that the new Rolls-Royce Phantom houses as well. The Cullinan has a total output of 563hp as well as 850Nm of torque. With an eight-speed automatic transmission, it can go from 0-100 in 5.1-seconds as well as hitting an electronically limited top speed of 250kph. Whether it’s on the freeway or up a hill, the Rolls-Royce Cullinan can do it all. 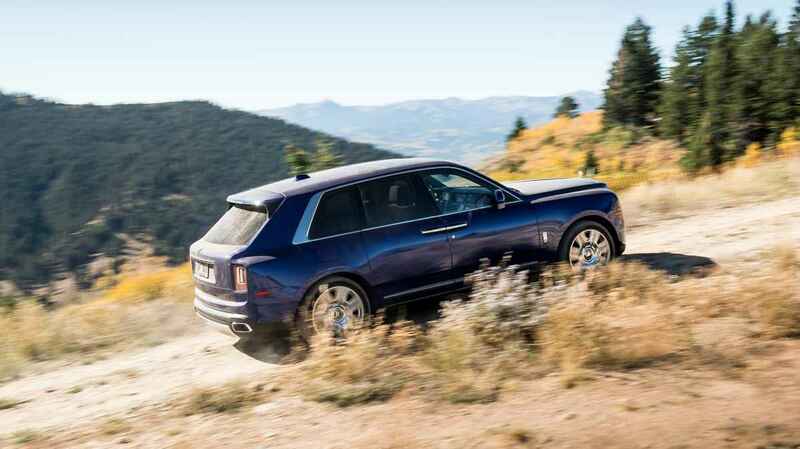 All-wheel drive on the Cullinan is expected, which makes it such a beast on almost any terrain. An electronically-controlled air suspension system is equipped on its all-wheel drive setting. This allows the car to either rise or lower by 40mm to adjust its chassis on various surfaces. It’s off-road driving capabilities also comes with four preset driving mode programmes. However, it is the interior of the Cullinan where Rolls-Royce shines and it all starts by opening the signature suicide doors. Passengers can close the doors with a simple push of a button; if you’re on the outside, touch sensors are present to detect when you would like the door to close. 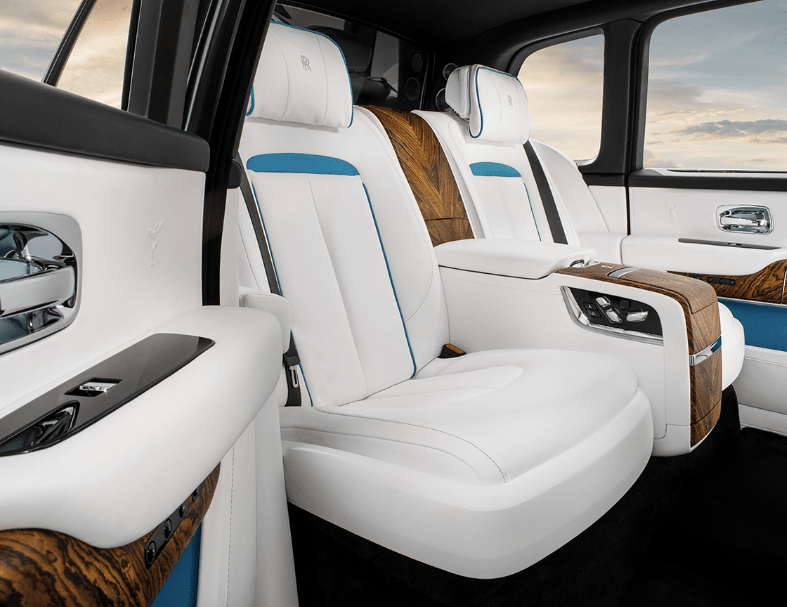 The interior of the Cullinan is plush and lavish with plenty of customisations to choose from in terms of quality and tactility. The rear passengers can also be customised in either Individual Seats (two passengers) or Lounge Seats (three passengers). When in Lounge Seats, it can also be folded to act as a flat load area via a button control system located in the trunk of the car. One of the many customisable upgrades of the interior, which also includes controls for each rear seat. If you stick with the Individual Seats layout, the centre console houses a cabinet for liquor, which also comes with two Rolls-Royce whisky glasses, a decanter, champagne flutes, and a miniature refrigerator. Besides a panoramic glass sunroof, the Cullinan also comes with superior media entertainment, which includes an 18-channel, 18-speaker Bespoke audio system and two touchscreen displays with a supporting tray to boot. Wi-Fi hotspots are also available as well as a wireless charging port at the front. The Rolls-Royce Cullinan’s arrival into Malaysia looks to give the Bentley Bentayga a run for its money with a starting price from RM1.8 million. However, this is only the base price tag before any bespoke customisations. 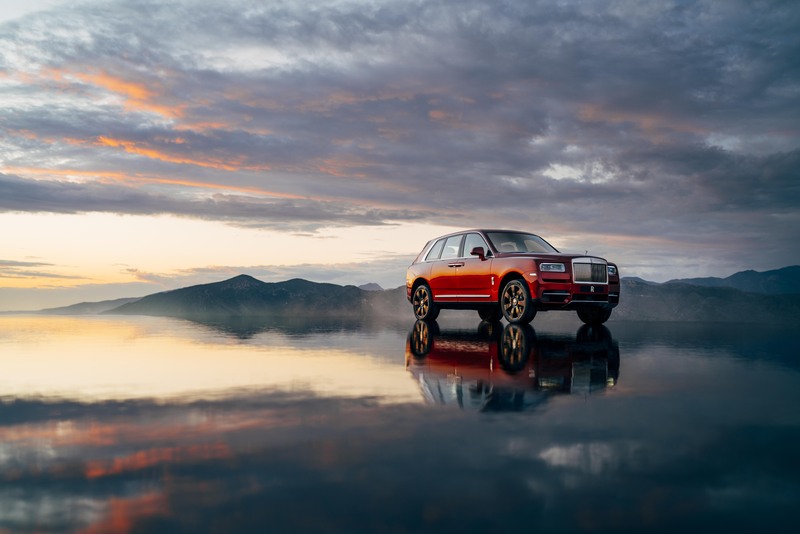 With the extravagant features that come with the Cullinan, it’s only a matter of time before we see it in full swing on the road.